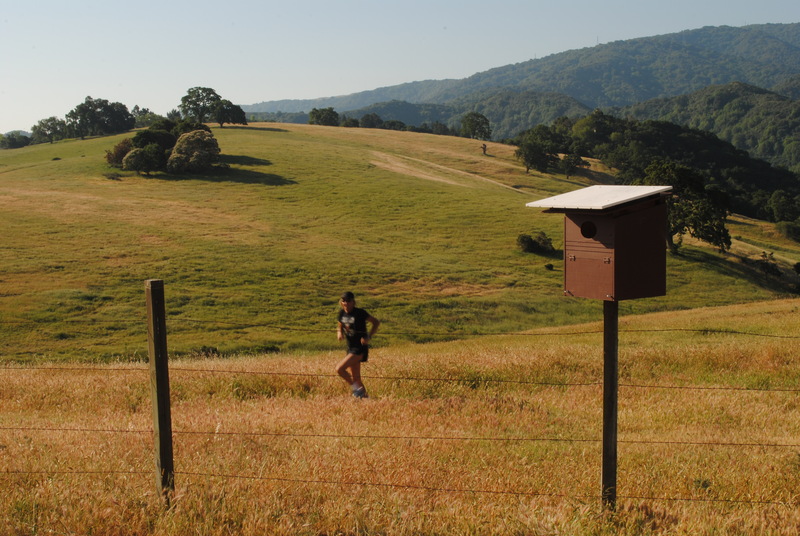 This year we are raising money to install owl houses at Westwind Community Barn, Byrne Preserve and other Los Altos Hills Parks and Recreation facilities. Los Altos Hills is encouraging the use of natural predators to control unwanted rodents rather than poisons which kill owls, bobcats, coyotes as well as endanger pets and children. A family of owls can devour five thousand rodents in a year! 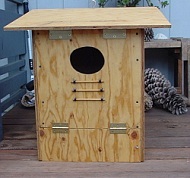 From the LAH Pathways run proceeds, we plan to purchase appropriate owl houses from the Hungry Owl Project. This organization located in Marin, started in 2001 to promote natural predators as a way to control unwanted rodents. Check out their website for more details about their project and their live web cams to some owl houses. You too can help promote the use of natural predators in your own yard by building, purchasing, and/or installing an owl house. Each of these houses are sold assembled from HOP for about $115. However, they must be picked up in Marin. The barn owl is the type of owl that we are trying to attract to our Westwind Community Barn and Bryne Preserve area as it likes to have an open field to hunt in and can be fairly close to humans.